How Far is Primark's Elite Heights? 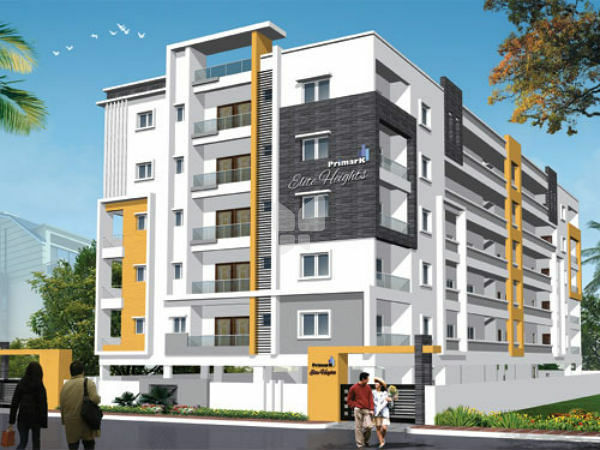 Primarks Elite Heights is one of the residential developments by Primark, located in Vijayawada. The project offers 3BHK flats at very competitive and affordable price. 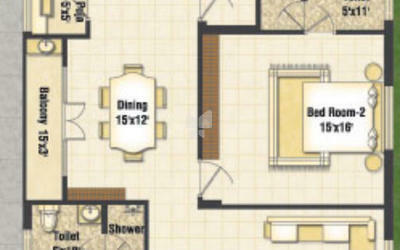 It is well planned and is built with all modern amenities. Under Reamed Pile Foundation as per soil report, recommended by the approved structural engineer. Brick masonry with Country bricks. External Walls - 9" Thick(230mm). finish Other Doors to be teak wood Frames and designer Veneered Flush Door in polished finish with standard Hardware. UPVC Windows with Mosquito Mesh & Grill provision. 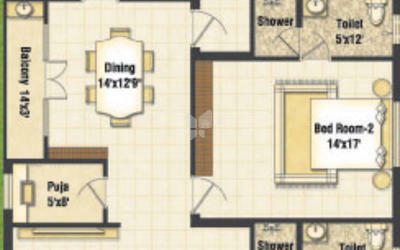 Vitrified Tiled Flooring in 4'x 2' size in drawing, Dining and 3'X3' Size In other rooms. Bath rooms to be of Anti skid Ceramic Tiles of 1' x 1' size Dado of 7'0" height of 12'x 24' Size glazed ceramic tiles. Standard make Modular Switches will be provided. All rooms to be as per standard practice including telephone wiring, Internet. & Tv Points, Split A/c's for all bed rooms, Living & dining. Jaquar/Cera Continental make C.P. fittings with hot & cold mixer. Sanitary ware of Standard make with wall-mount W.C.
PaintingBirla Wall Care Putty with Two Coats plastic Emulsion paints for Internal Walls. For external walls wall care putty. Texture on Elevation side and Exterior weather shield Emulsion paints. Registration charges, VAT and Service Tax at Flat Owner Cost.